No matter which era you talk about, education will always be an important aspect of it. Education somehow deciphers how we humans have evolved generations over generations. How education is being imparted has changed drastically and, supposedly, mostly for betterment. Today or whenever we talk about education, Nalanda university will definitely be a part of it. 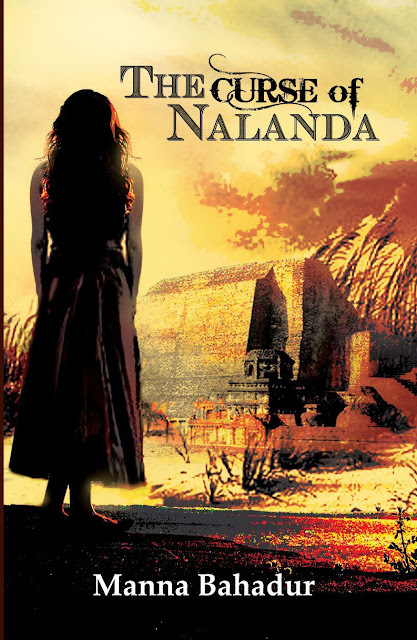 The Curse of Nalanda is a book by Indian author Manna Bahadur and the story of the book revolves around the historic and traditional old Nalanda University. As you would have guessed from the title of the book, the story envelopes a curse that was given centuries ago and how it was responsible for various mishaps including the destruction of the glorious Nalanda university. The book also makes an attempt to establish a common between practicality and spirituality, though the focus is more on the practical side of our lives. The story has two female characters, namely, Devahuti and Chandni from two completely different eras. The story of The Curse of Nalanda isn't about time travel, but it is about the connection that these two characters have, their experience, their betrayal, their loyalties, their confidence and the similarity in between all these. Devahuti is this small innocent child widow who is deprived of all her desires, but she is fearless and intellectually much ahead of her time while Chandni is a modern day Journalist who is confident and a doer. Chandni being a reporter has to cover the story about Nalanda University and when she reaches there for her professional assignment, the ruins of the Nalanda University start appearing to her and she loses to her subconscious mind and that's when she makes an attempt to comprehend it. Another character of the book is Abhinav, who is deprived of mothers love even when she is around him while he has never seen his father because one fine day he leaves all of them to attain enlightenment and comes back only when he has grown up to be an independent man and the only love he has experienced in his life comes from Chandni. Devahuti had trusted someone and that someone was responsible for burning down the temple of learning, Nalanda University and in a similar incident Chandni had trusted someone on an international assignment but gets trapped. The identical series of events in different eras connect them and thus the curse that started with Devahuti comes to an end with Chandni making the story more compelling. Overall, the story is interesting, but a bit predictable in some parts and I guess that is because of the relevancy it has with the current situation. The emotions depicted by the characters are true to the situation and there is nothing overdone. The writing of the book is very simple and can be read by anyone and most of you will be able to finish around 190 pages in just two sittings. There is attention to detail in the description of the characters and their surroundings and there is no force connect, one should appreciate the genuine effort put in. I would recommend this to anyone who is interested in historic fiction or fiction in general. You can order a copy of the book from Amazon. Actually, yes it is. 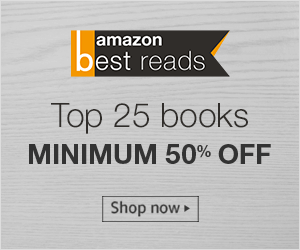 I hope you will read the book and if you do, don't forget to share your thoughts here.